The next generation of Volvo’s premium SUVs and sedans are going to come with what is essentially a Google Android operating system taking care of everything from infotainment to concierge services. Thanks to the rate at which digital technologies are developing plus the crucial importance the smartphone now plays in the average person’s daily life, the car as we know it is simply a short trip away from becoming a rolling computer or a handset on wheels. Indeed, according to JD Power, smartphone integration and app mirroring is one of the most important features for car buyers. Rather than simply take the pain out of pairing a handset with a car’s system, this new partnership aims to take things to the next logical step. “Google’s platform and services will enhance the user experience by enabling more personalisation possibilities, while Android will offer increased flexibility from a development perspective,” said Henrik Green, Senior Vice President Research & Development at Volvo Car Group. Volvo believes that by putting Android at the core of its cars, it will always be able to offer its clients the latest connected vehicle technology and digital services. 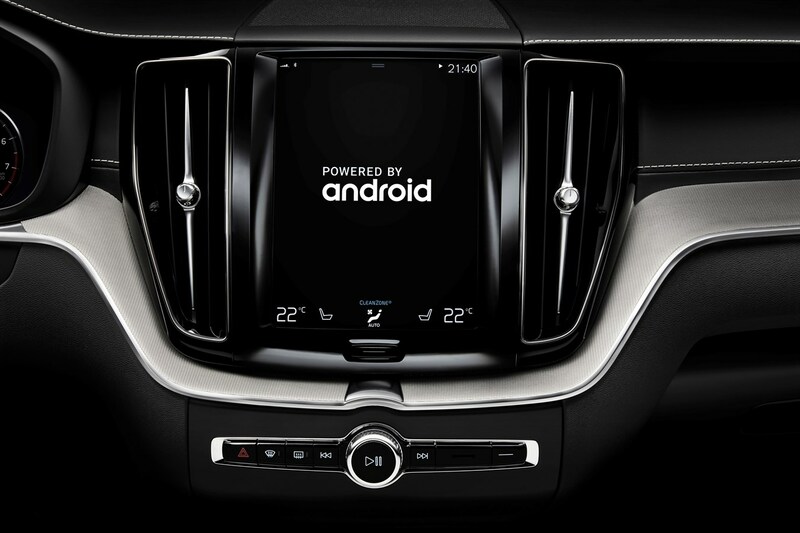 It will ensure that any Android app that becomes indispensable to consumers works seamlessly with a Volvo infotainment system and will also open the door to the developer community. They will be able to get creative — connecting cars and smart home assistants, for example, while using a recognised coding language. “This partnership gives us the opportunity to deliver a more seamless experience to Volvo drivers through a full-featured infotainment platform and rich ecosystem of Android applications and Google services,” said Patrick Brady, Vice President of Android Engineering at Google. And Volvo is not alone in deciding to build closer ties with Google. Audi has also this week confirmed it’s partnering with the search giant on its next-generation infotainment system. The VW-owned car company will be bringing what it calls the Audi Q8 sport concept technology platform — in other words a concept car dashboard — to this week’s Google I/O developer conference. Audi says it’s the first to come with Spotify, Google Music and Google Assistant baked into the infotainment system.